Is there a way to run parallel tests in SOAtest to reduce test execution time. 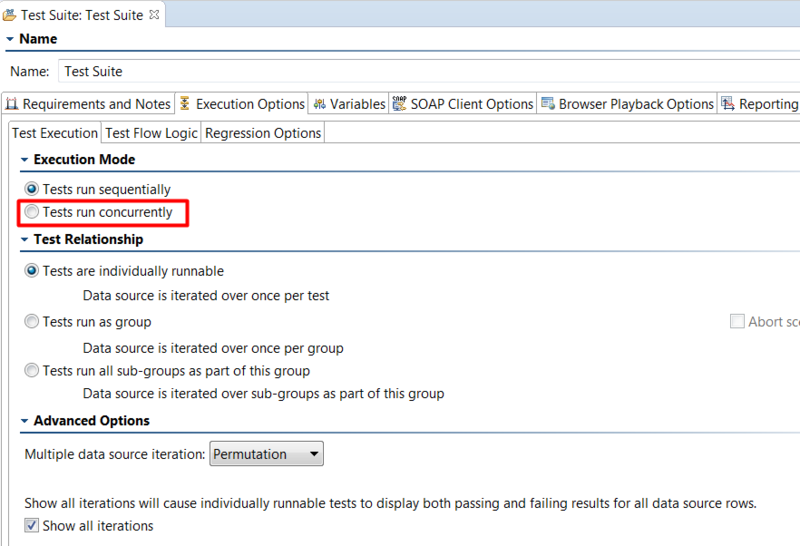 In every test suite under Execution Options -> Test Execution you can select Execution Mode - sequentially or concurrently. More information on Test Execution options may be found here. I would like to note that the "Tests run concurrently" feature is not intended for parallel execution. The feature is intended to test use cases where a number of requests are sent all at the same time to test for concurrency issues. It will not scale nicely when running many different test scenarios for different use cases. To support parallel execution, you need to split your .tst files into different batches and run different automated test jobs at the same time.